What a beautiful creation for our 'Friends' theme at Allsorts challenge, thanks so much for joining in. A lovely CAS creation and perfect for my challenge at Allsorts. Thanks for joining in. Nice sentiment, love how simple your card is and that the sentiment pops and is the focal point. Thanks for joining us at TSOT. Such a lovely and elegant card with a wonderful sentiment! Thanks for sharing with us at Try Stampin' on Tuesday. 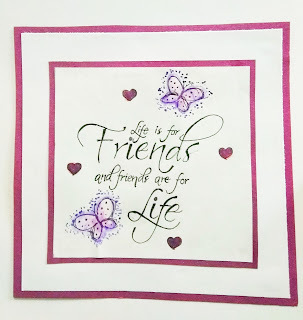 Such a gorgeous sentiment - love that script look, and you've accented it perfectly with the butterflies. Brava! Thanks so much for playing with TSOT! lovely sentiment and the card is very elegant. thanks for joining us at TSOT! 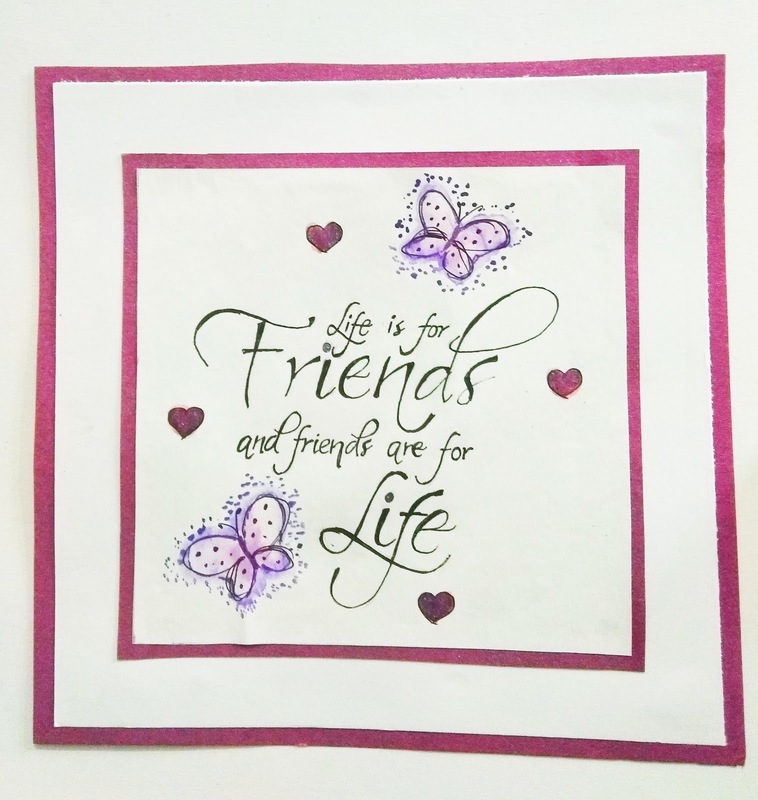 Lovely CAS card, great sentiment and the butterflies and hearts just does the sentiment proud. Thank you for joining our 'Friends' challenge this week at Allsorts. Very pretty card. Thanks for sharing over at Catch the bug. The colour, hearts and butterflies go so perfectly together on this card. I like the way that you have layered the card up too. Thankyou for coming and spinning the butterfly wheel with me this week. Hugs Mrs A.
Oh, I love how you made your sentiment the focal point on this beautiful card, Nisha! Such sweet butterflies, too! Thanks so much for playing along with us at Addicted to CAS! Such a true sentiment on your beautiful card. Thanks for joining in the Catch the Bug Color Challenge, Lisa Lynn DT. Beautiful card! Thanks for joining us at Crafty Gals Corner!